I recently completed the 450 hour program and Im so happy with the education I received from the Washington Laser Institute! Dr. Sabbagh and her staff provided excellent and through information in the time I was there not to mention the countless modalities I was fortunate to use daily. This is a great school to be part of! Having six years of experience as a skin care therapist I was looking for some time to find a school which which could offer a quality Master Esthetician training program. My expectations were not only fulfilled but greatly exceeded. 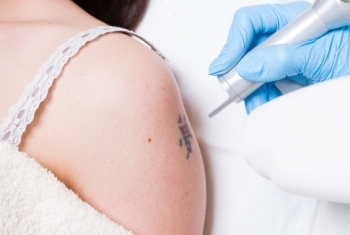 I became proficient in using different types of lasers while providing treatments to the schools numerous client. Under direct supervision by the surgeon and instructors. I can not say enough about Dr. SAbbagh and he wonderful staff for such a great experience. I would highly recommend Washington Laser Institute to anybody who wants real hands on and gold standard theory. this program prepares you for the eyed spa job market! This program was the most amazing experience I have had in the industry. Dr. Sabbagh taught the class with clarity and practicality that is hard to top.I am so prepared to go out and help people look their best because of the training and experience I gained. Thank You! This is an incredibly hands on program. I love that Dr. Sabbagh and the instructors go into such detail during lectures about the lasers and treatments. I think we were very lucky to be able to learn from such knowledgeable instructors who are really passionate about this field. I love the quickness of the machines and the results you get to see over time. Learning the technical aspect of the medical side of esthetics was very interesting and helpful to reaffirm I am making the right decision about working in this field. I loved learning the science behind the modalities. I like how the teachers are so involved with the students and how hands on we are here! The instructors have been my favorite part of my master esthetics program. Having the availability of different instructors allowed for growth and insight. I appreciated all of the different perspectives coupled with instruction consistency. 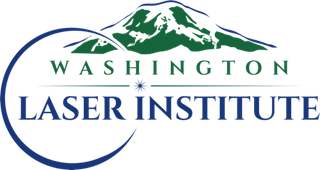 At Washington Laser Institute there is extensive knowledge and help given to achieve the experience and goals we have as students. Everyone in the building/facility is very helpful with anything you need and it shows that each and every one of them has a passion for what they do. My favorite thing I enjoyed most while attending Washington Laser Institute was Doctor Sabbagh’s lectures. I loved how she did whatever she could to make sure we all understood what she was talking about by explaining something and relating it to food so it made more sense. I had a blast here and made great friendships. Hands down the best thing about the program was the staff! All of our teachers were very knowledgable and experienced! We learned from the best! I enjoyed working with all of the different instructors and doing presentations to the Doc for every consultation. This was very helpful. This program allows you to learn all the different lasers and have repetition using them! I really enjoyed getting to have hands on practice with the devices. I also really loved Doc’s lectures. My favorite things about Washington Laser Institute Master Esthetic Program was hands on training with all modalities, advanced medical knowledge (PCOS, Rosacea etc. ), and working with an actively involved doctor and staff. I loved the lectures with Dr. Sabbagh at the beginning of the course because this is so vital to our practice as well as making us stand out as better estheticians. I loved the in depth lectures that Dr. Sabbagh taught and created herself. They were extremely informational and it was nice knowing that all that information came from a reputable doctor who is licensed and is currently working in the industry. I’ve learned so much from her and Salena (licensed master esthetic instructor). Loved the knowledge and being able to see clients progress with results! I really enjoyed the extensive amount of knowledge that was offered from start to finish. The in depth lectures from both Dr. Sabbagh and Salena have given me the greatest confidence possible to move forward in my career and continuing education.